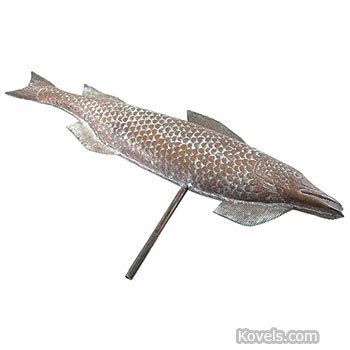 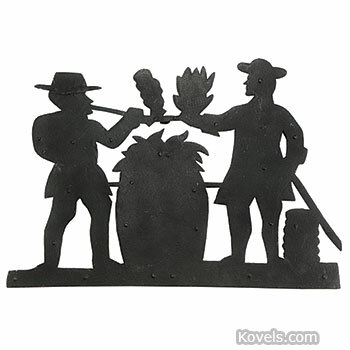 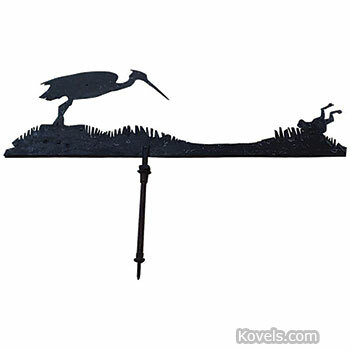 Weather vanes were used in seventeenth-century Boston. 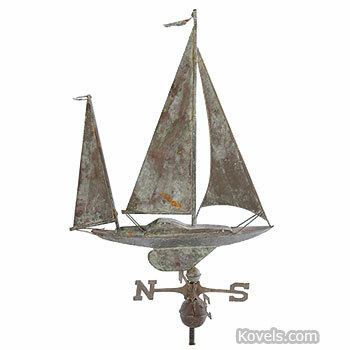 The direction of the wind was an indication of coming weather, important to the seafaring and farming communities. 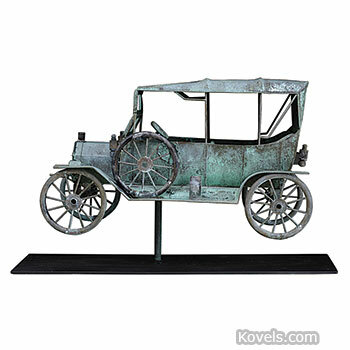 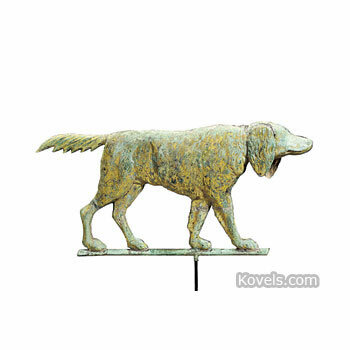 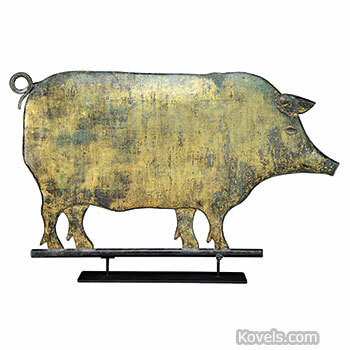 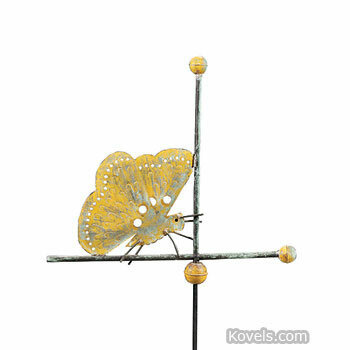 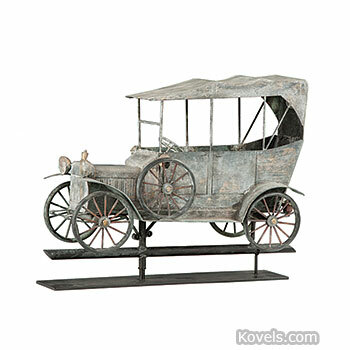 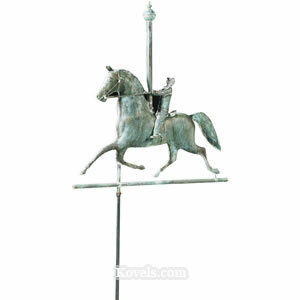 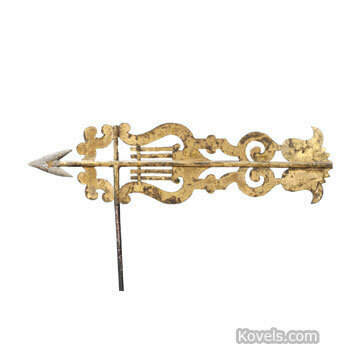 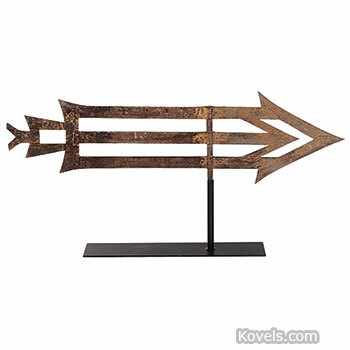 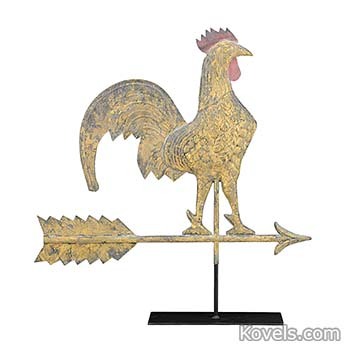 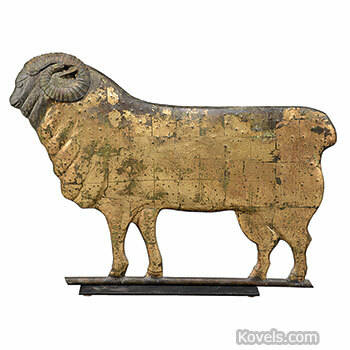 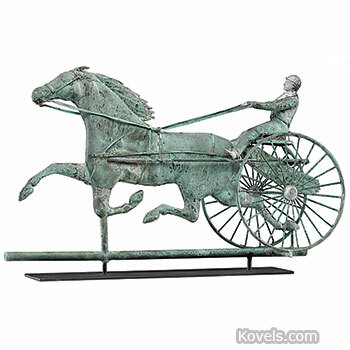 By the mid-nineteenth century, commercial weather vanes were made of metal. 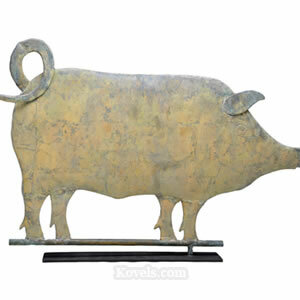 Many were shaped like animals. 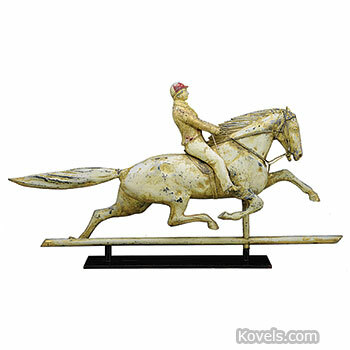 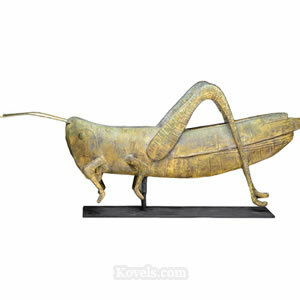 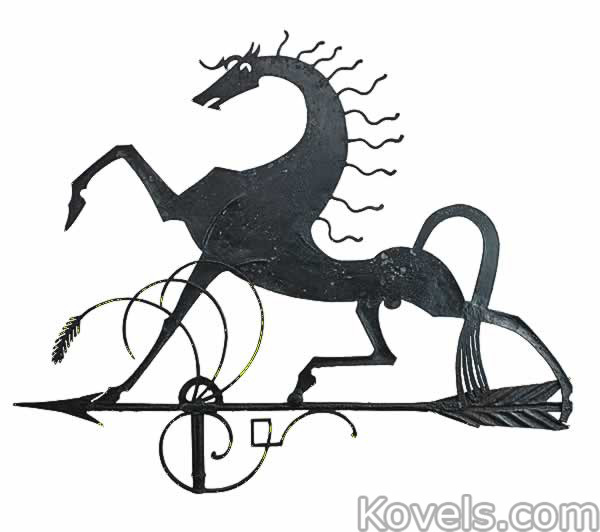 Ethan Allen, Dexter, St. Julian, are famous horses that were depicted. 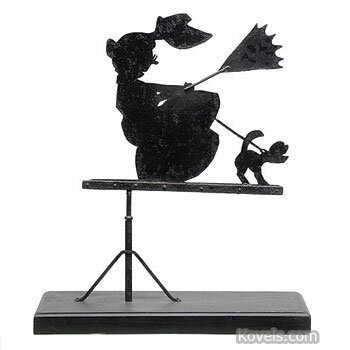 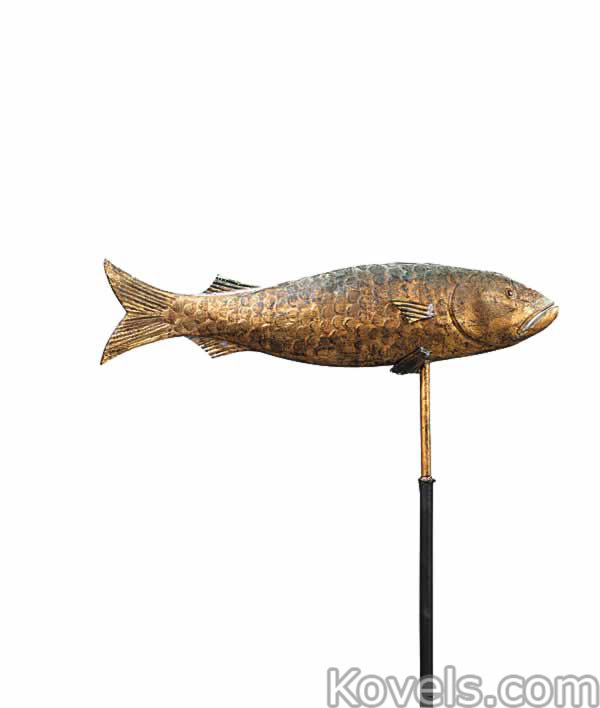 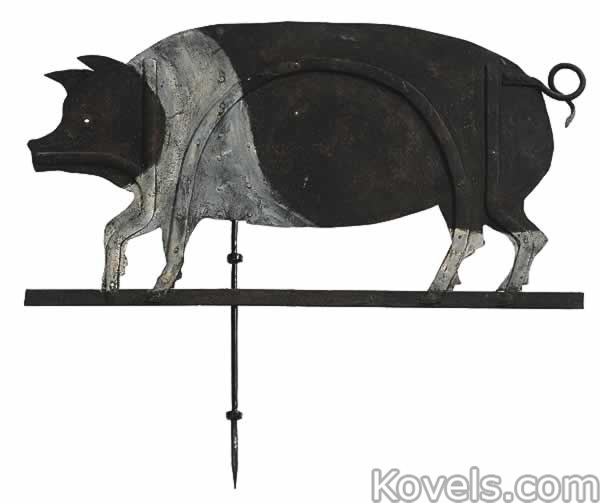 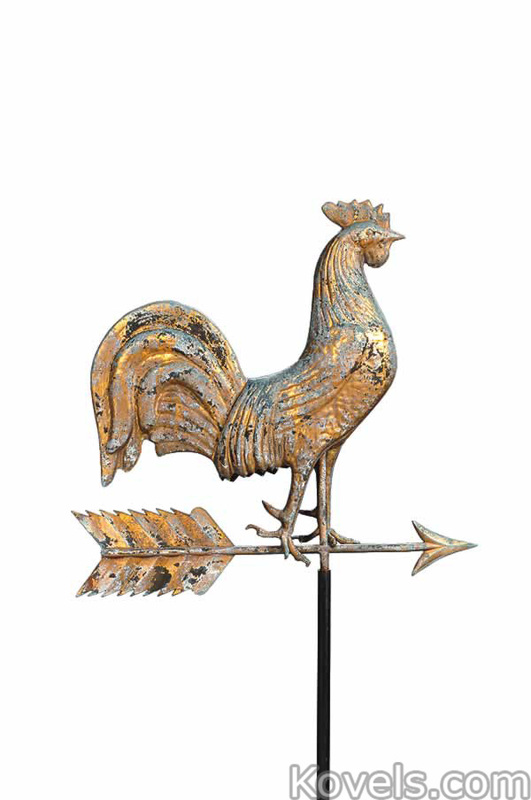 Today's collectors often consider weather vanes to be examples of folk art, even though they may not have been handmade. 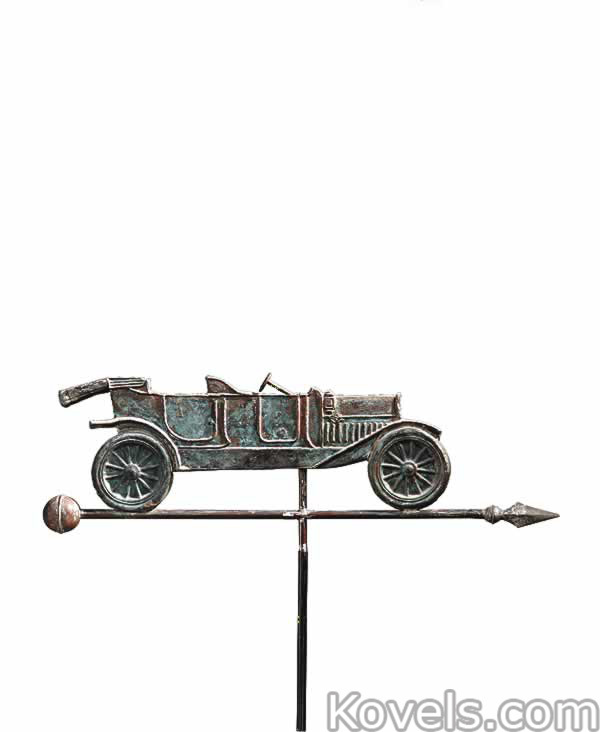 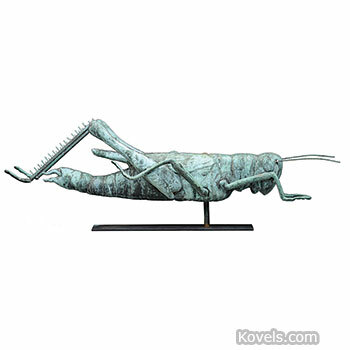 Deacon Shem Drowne was the first documented American weather vane maker who created the famous grasshopper vane on top of the Faneuil Hall in Boston.